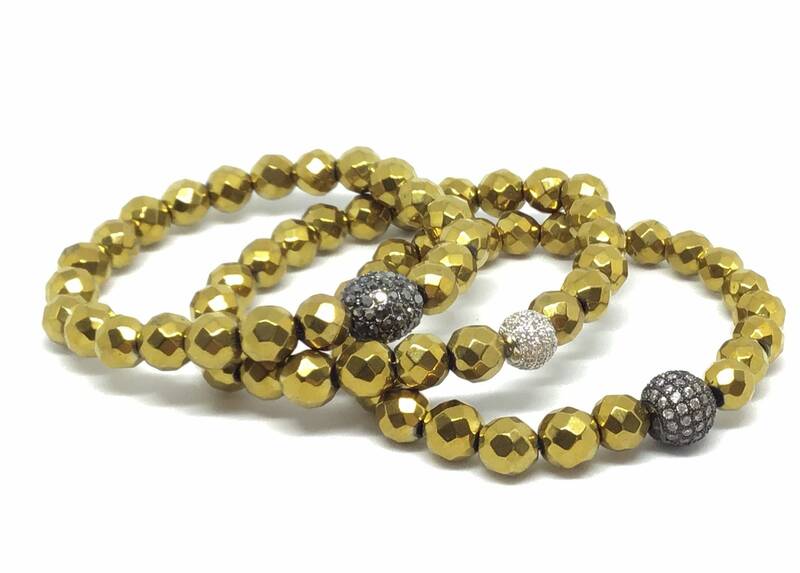 8mm Faceted gold toned Hematite. A very grounding, protective and stabilizing stone. 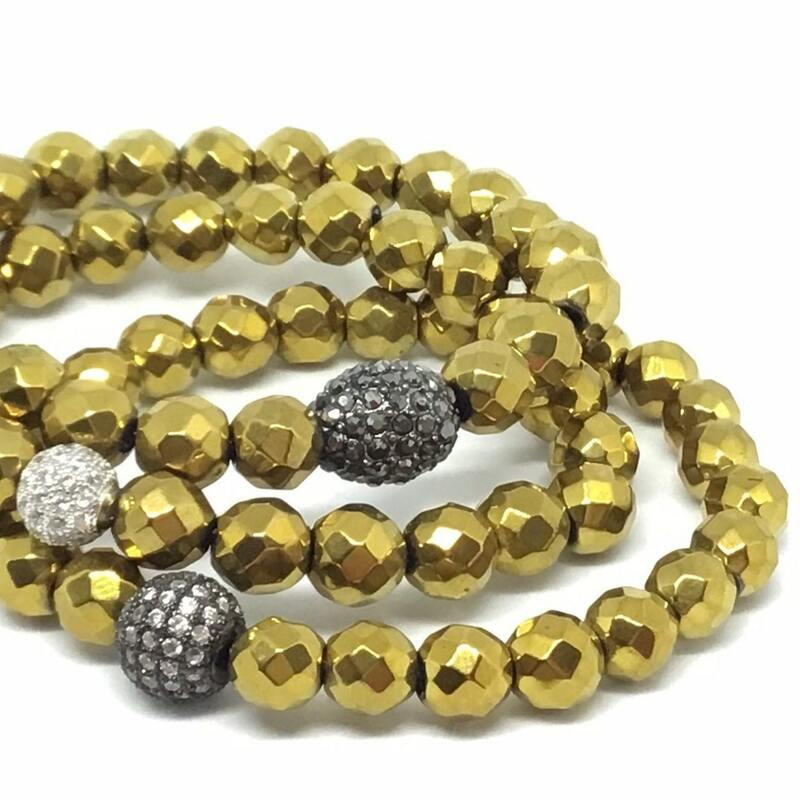 And a very fun blingy bracelet to add to your stack. Please choose the accent bead of your choice on the drop down menu. Please choose a bracelet length from the drop down menu. 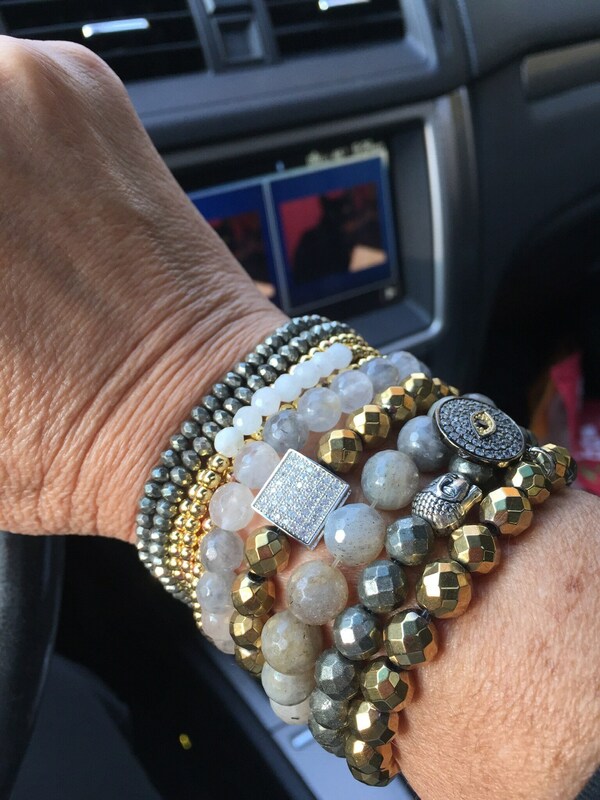 Remember to leave room for you bracelet to sit comfortably on your wrist. Not your actual wrist size. Custom Orders are always welcome. Just message me. I'll get back to you pretty fast. Especially if you want this on a different stone.